Bonded… Licensed and Bonded: Why Work with a Licensed Electrician? When you are an undercover agent, it’s important to keep secrets. But when you hire an electrician to work in your home or office you don’t want any surprises. Often a friend or family member will suggest someone they know to do the work for you. While word of mouth is still the key to a successful contracting business, you still want to do your homework to ensure that the person you are working with is qualified to handle the job and get it done the right way. The best way to guarantee that you are making the right choice is to make sure that the electrician you are hiring is licensed and bonded. What does “licensed” mean to an electrician? In the State of Ohio, this means that the Ohio Construction Industry Licensing Board (OCILB) has issued the contractor an examination, and based on the results they were confident enough in the electrician’s abilities to issue a license to do business. 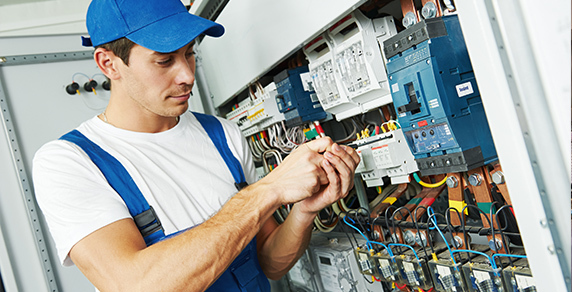 In addition to the exam, there is a lengthy list of requirements and credentials that must be presented to the board before the license to perform electrical contracting will be issued. While “bonded” doesn’t mean that an electrician is now a Secret Agent, it does have to do with protecting the consumer. When a contractor is bonded, this means that there is a guarantee that they will do all of the work they’ve been hired to do. If they fail to do so, the bonding company agrees to compensate the consumer, thus ensuring that your electrician is going to do everything that was requested. Simply put, if the electrician you’ve hired to do the job isn’t Licensed and Bonded, you are putting yourself at risk. 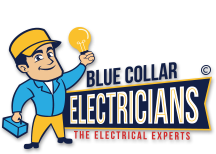 To guarantee quality electrical work from a licensed and bonded agent, contact Blue Collar Electricians today!